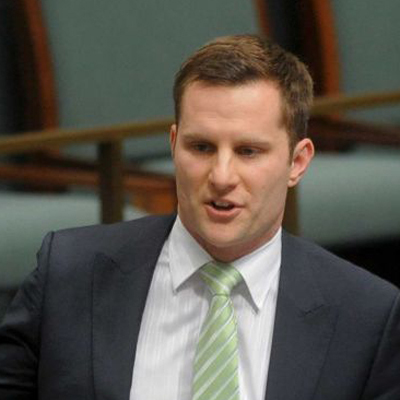 Alex Hawke was elected at the 2007 election as the Federal Member for Mitchell, an electorate centred on the Hills Shire in Northwest Sydney. Raised in Sydney’s North Western suburbs, Alex lives at Castle Hill and is married to Amelia. Alex was appointed by Prime Minister Abbott as Chair of the House Standing Committee on the Environment in the 44th Parliament. Alex is passionate about ensuring our environment is managed in a responsible and forward thinking way. Alex is to serve on the House Standing Committee on Education and Employment, the Joint Standing Committee on Electoral Matters and the Joint Standing Committee on Foreign Affairs, Defence and Trade. Alex is a passionate advocate for reducing the size and scope of government and reducing red and green tape for small and medium businesses in particular. Alex has served as an Army Reserve Officer and has worked as a retail manager and ministerial adviser. His personal interests include Australian Military history, the Parramatta Eels, Western Sydney Wanderers and Sydney Hills Eagles.